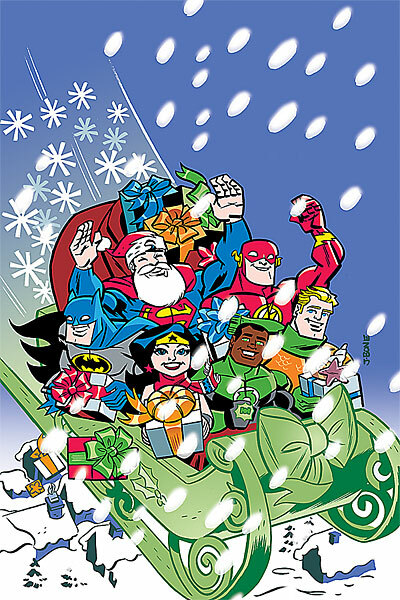 We here at ONCE UPON A GEEK wish you and your loved ones a wonderful Christmas Eve! 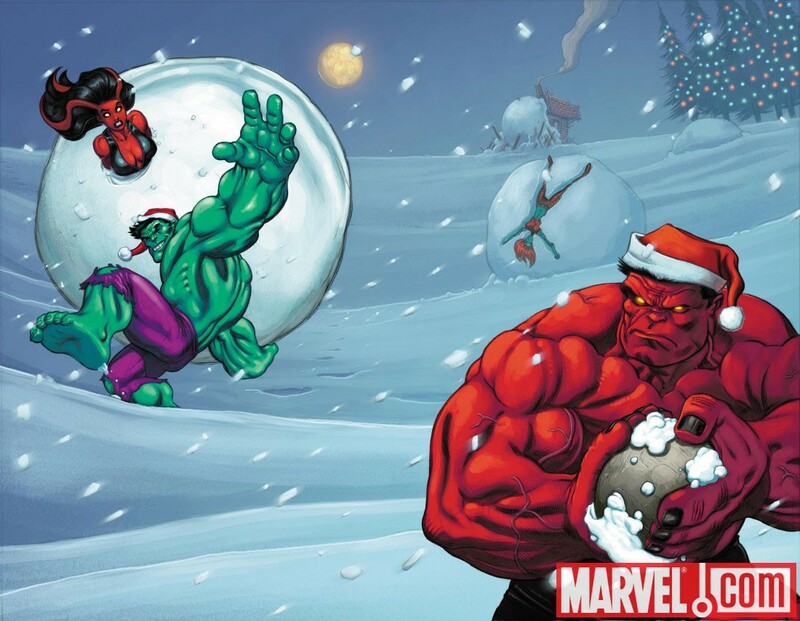 To help celebrate, please enjoy these holiday-themed comic book covers. 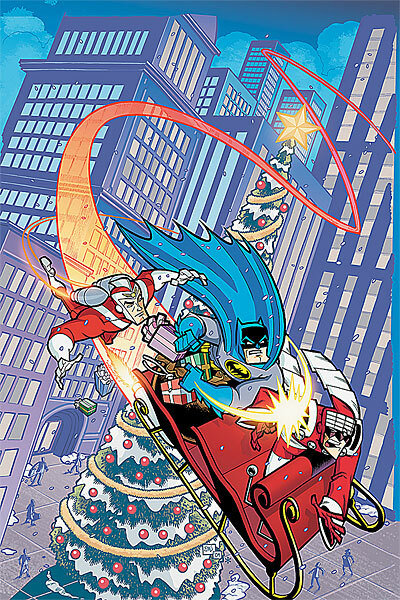 Last year I posted 25 Santa-themed covers which you can see by clicking here. 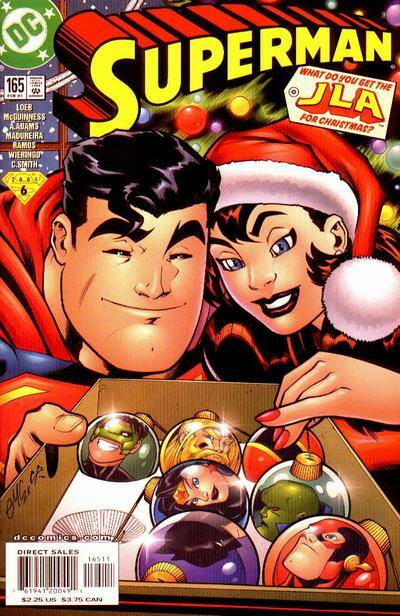 You can also find another 23 holiday related covers I posted last year by clicking here. Below you’ll find a few more I’ve come across within the past year. The ones below are from this year. You’ll notice they don’t have the typical logos because I pulled the artwork directly from the publisher’s web sites. Fall of the Hulks Gamma & Hulk #18 variant covers combined. Click the image below to enlarge. Oh man! These are awesome! What a great Christmas post! Thanks Shag! 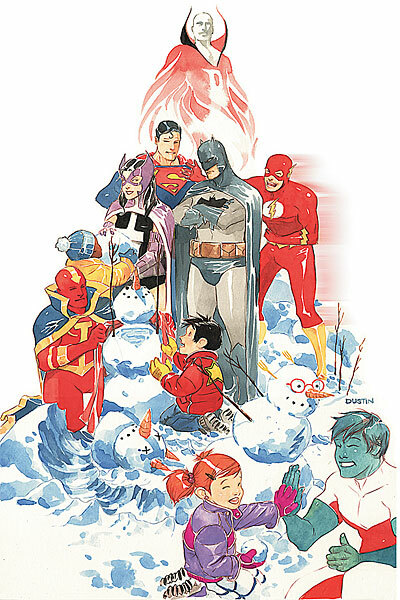 Merry Christmas, O Irredeemable One! I hope the Krampus treats you gently this year. I always thought the Red Tornado was a cheap red knock-off of the Martian Manhunter. Though I suppose being a Tornado, it’s pretty easy to blow out any flames someone might try to accost you with. In the 50’s, did Martian Manhunter ever smoke? The Red Tornado is a cheap knock off of The Red Skull. Give the martian manhunter Oreo-flavoured stogies. And the Red Skull is a cheap knockoff of Red Skelton. And he’s not nearly as funny. He’s a lot funner than Adam Sandler, though.